The boys get mystical in this episode...sort of. They were supposed to, but Ryan and Mike zagged on y'all, with the behind-the-scenes help of Frank Edler. What was supposed to be a debate on the best kind of magic went a bit sideways. 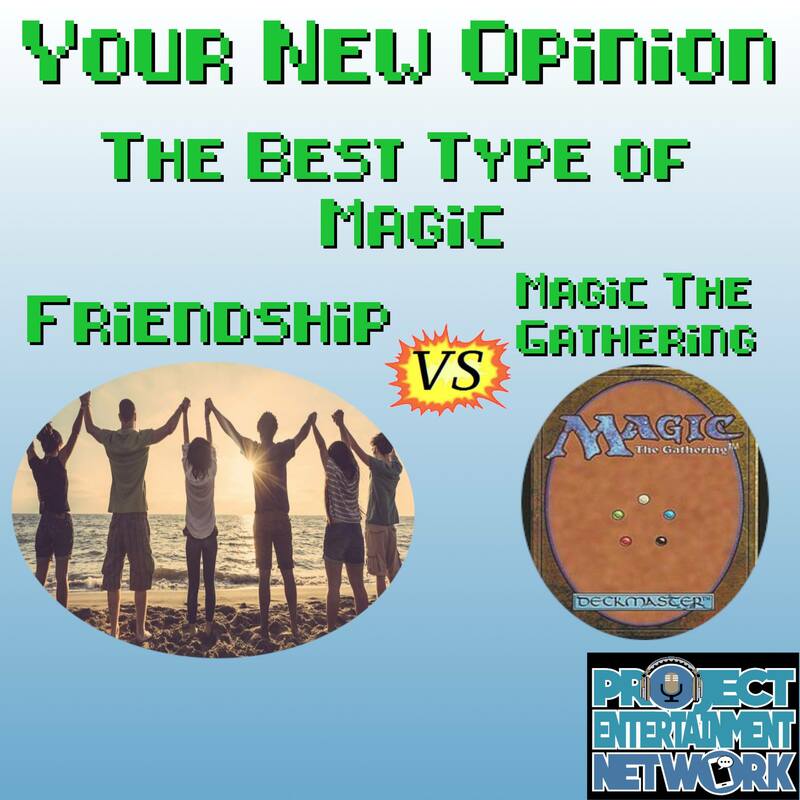 Instead of picking black magic or occult magic or chaos magic, well, Mike picked friendship and Ryan picked Magic the Gathering. Nick, excited at first, realizes this isn't going to be what he's expecting! Discussion points include: Gandalf, Seinfeld, the Dark Tower, imagination, Kevin Smith, Ticketmaster, Winston Churchill, competetive eSports, the X-Files, witch hunts, and self-referential friendships. Where did the boys used to record? What is Mike saving for Ryan? What does Nick's O-face look like? Whip out your wand for The Best Kind of Magic!